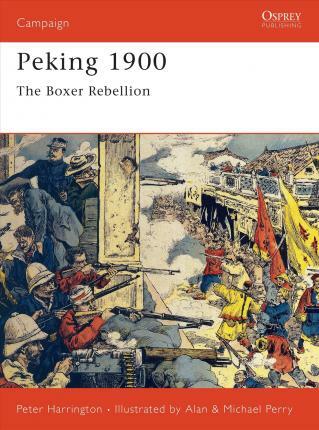 Osprey's study of the violent Boxer Rebellion, which swept northern China in 1900. The Boxers were a secret society who sought to rid their country of the pernicious influence of the foreign powers who had gradually acquired a stranglehold on China. With the connivance of the Imperial Court they laid siege to the legation quarter of Peking. Trapped inside were an assortment of diplomats, civilians and a small number of troops. They were all Sir Claude Macdonald, the British Minister in Peking, had to defend against thousands of hostile Boxers and Imperial troops. It would now be a race against time. Could the rag-tag defenders hold out long enough for the gathering relief force to reach them? This book describes the desperate series of events as the multinational force rushed to their rescue.